I haven’t posted in quite some time. I’m afraid the the winter doldrums had set in. 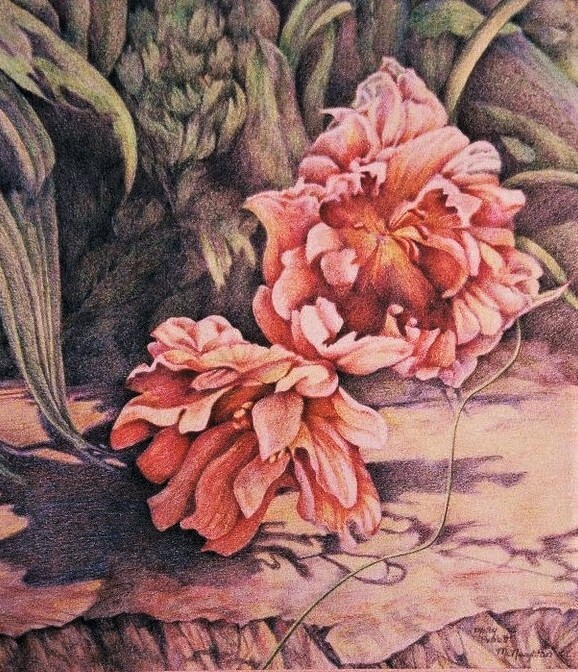 So here’s a colored pencil of peonies past their prime falling over one another. Serial imagery can be created by depicting your subject withing its setting, stepping in more closely, and finally even more to examine its finer details. One of the most captivating aspects of serial imagery is the exploration of taking one’s story line further. There are so many ways you can challenge yourself and your viewers. Here I look at the same composition from a variety of vantage points. Each tells a different story. Zooming in on the underside of the urn one can better see how the flowers nestle in and are impacted by the dark hues and shadows. The spatial aspects of the composition balance the clustered floral forms. 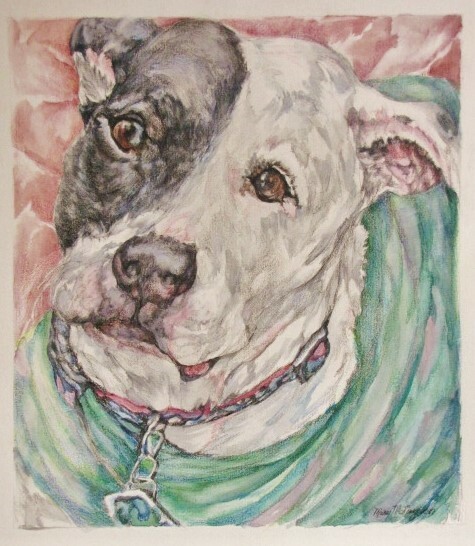 In this last stage of the mixed media piece of Edie, I add colored pencil to the watercolor after it is thoroughly dried or I may add water soluble colored pencil while still drying. 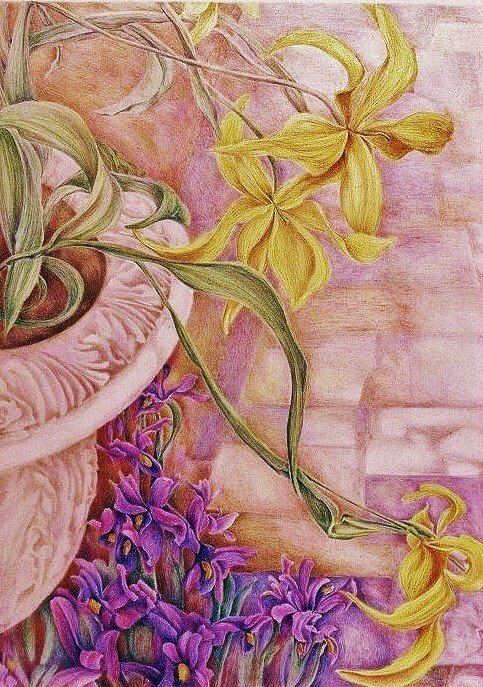 This adds vibrancy to the gradations and greater clarity and richness to the work. Edie’s face contains a wonderful portrayal of the concept of yin and yang. Balance and harmony is achieved as we find the lights within the dark areas and the darks with the light. 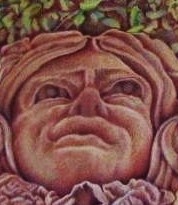 What a great face!!!! 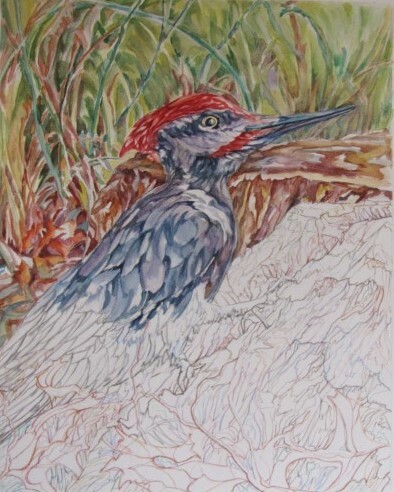 The last stage in the process of using mixed media to portray the pileated woodpecker is the addition of colored pencil to provide greater intensity and clarity. 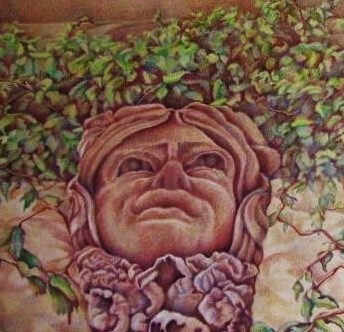 The next stage is the addition of watercolor to the contour. Windsor&Newton is a brand I highly recommend. 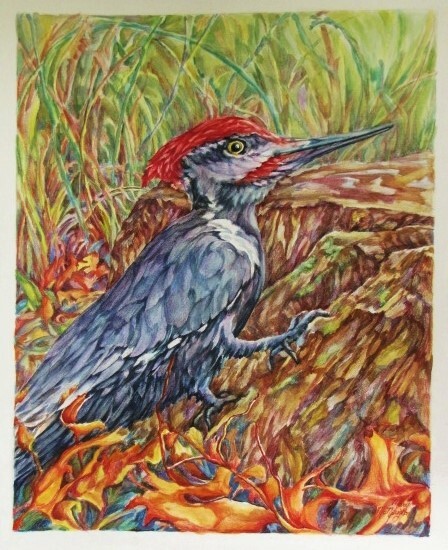 You are currently browsing entries tagged with Colored Pencil at Dr. Mary McNaughton and Drawing.